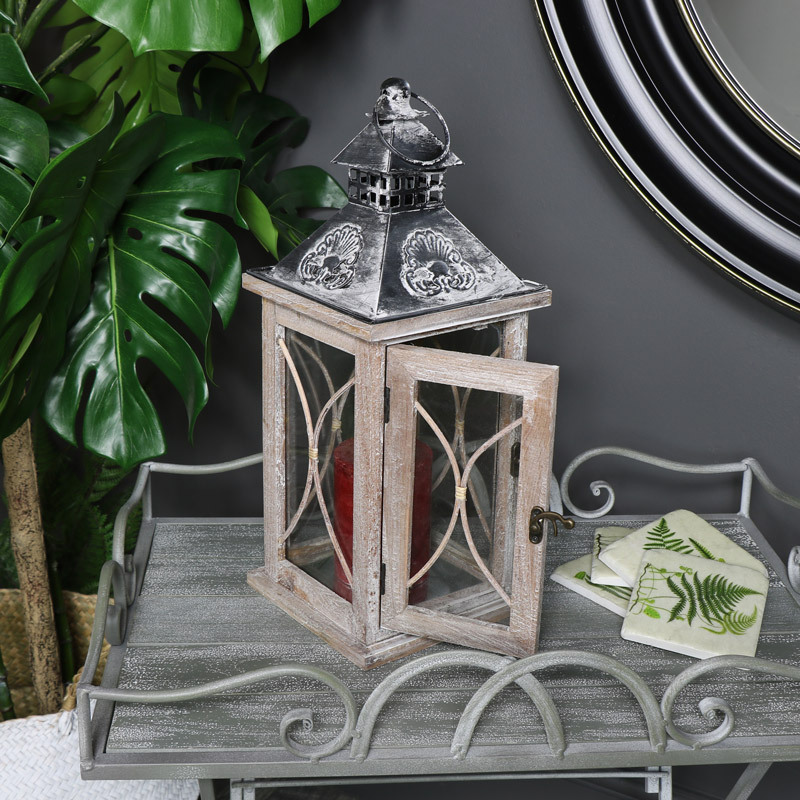 A rustic shabby chic lantern full of charm and personality to compliment any rustic interior especially one of a country cottage vibe! It has a washed wood frame and an embossed iron top to complete its vintage / aged look. 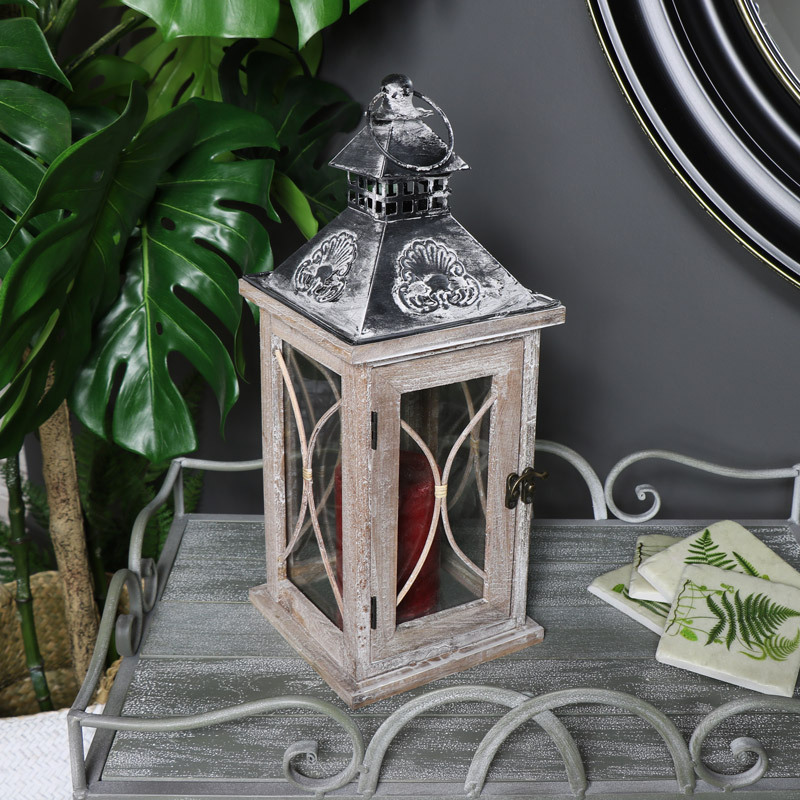 This lantern would also make an ideal centrepiece at any wedding. 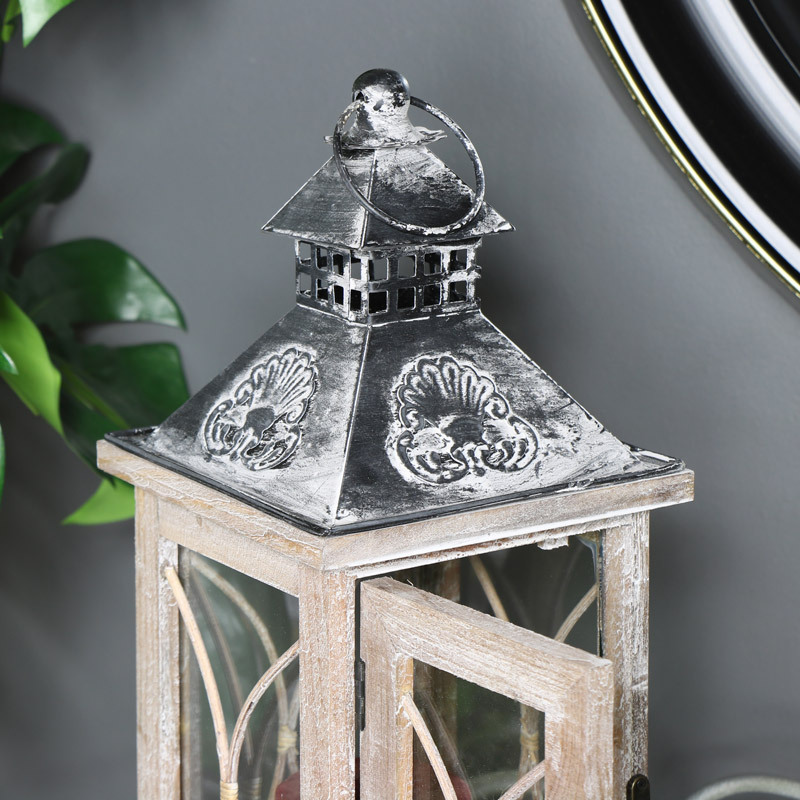 Ideal for use in the home or garden but please note that prolonged outdoor use will cause the lantern to weather over time so we do advise after use to store inside. Made with a wooden frame in a rustic washed finish and metal top. Glass panes surround the lantern to protect the candle flame from being extinguished.